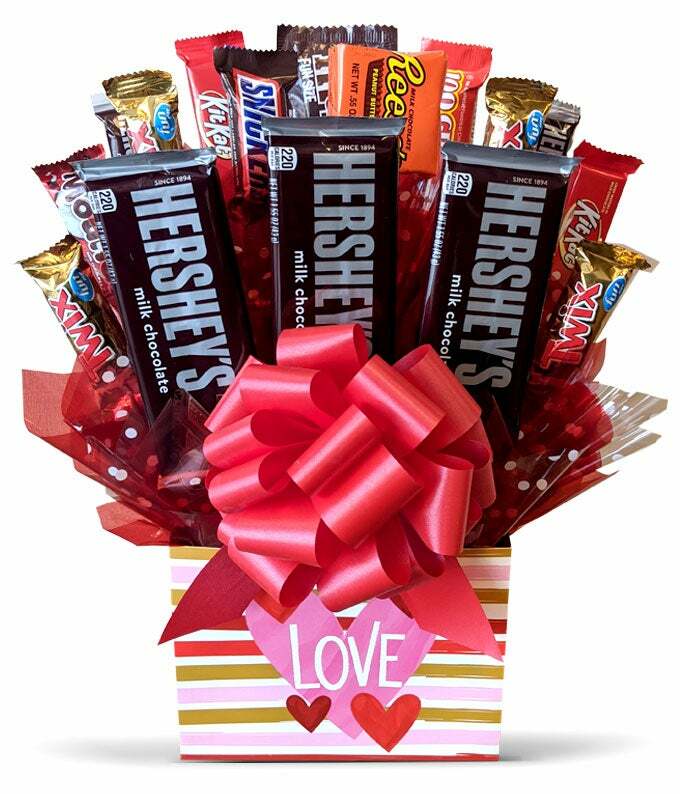 Let your sweetie know you love her sweet tooth! This cute, yet romantic gift box is delivered with a variety of yummy candy bars. 20 fun sized candy bars including Kit Kats, are paired with 3 full-size Hershey candy bars to give her the chocolate she loves. All of the candy bars are delivered in a pink and red gift basket with decorative hearts.